Former Mt. 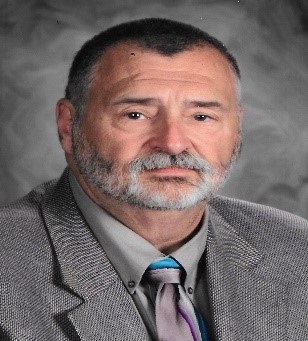 Vernon Township High School Superintendent Terry Milt has accepted a new role as “Energy Management Coordinator – Educational Facilities” with Southern Illinois based Affordable Gas + Electric (AGE). In his new role, Milt will coordinate energy management services on behalf of educational facility managers with AGE’s Sr. Energy Strategist and Consultants. Terry is a graduate of SIU-C and earned his degree in Education Administration from Eastern Illinois University. A veteran of the Illinois school system, Milt spent the past 35 years as a teacher, coach, principal and superintendent for school districts in Fairfield, Mt. Vernon, and Dupo. Milt recently retired as Superintendent from Johnston City’s school district but has continued to substitute teach and coach to stay involved with his passion for our youth. AGE has an extensive and growing list of Illinois school districts who utilize AGE’s energy consulting services to effectively manage and seek ways to minimize electricity and natural gas expenses. Through energy efficiency recommendations, legal review of supplier contracts, leverage of large scale buying groups to assist with rate negotiations and other services, AGE has shown a unique ability to guide school districts through this major expense category. In June of last year, AGE secured $324,000 in efficiency grants for Mt. Vernon Township High School’s new building and is currently working on behalf of Centralia City Schools on several energy efficiency opportunities. AGE is the largest and preeminent source of trust in rate negotiations and energy management in the Southern Illinois region through its extensive aggregated bulk purchasing groups. AGE currently represents thousands of commercial, industrial and public-sector customers in the Ameren utility area through its management of the Southern Illinois Chamber Bulk Electricity & Natural Gas Buying Group. AGE is also a partner to the Southern Illinois Aggregation Partnership, a partnership which manages the residential electric aggregation programs for over 100 municipalities, representing 65,000 residential customers throughout Southern Illinois. For more information about AGE’s electricity and natural gas aggregation programs, commercial, industrial, school districts and municipalities can visit www.agellc.com.